Case Study—One of Uber’s company missions is to make carpooling more affordable and reliable for riders, and effortless for drivers. In 2014 the company launched uberPOOL to make it easy for riders to share their trip with others heading in the same direction. Fundamental to the mechanics of uberPOOL is the intelligence that matches riders for a trip, which can introduce various uncertainties into the user experience. Core to the business objective is understanding how to deliver a ‘Perfect POOL’—an ideal situation where 3 people in the vehicle are able to get in and out at the same time and location allowing for a more predictable and affordable experience. 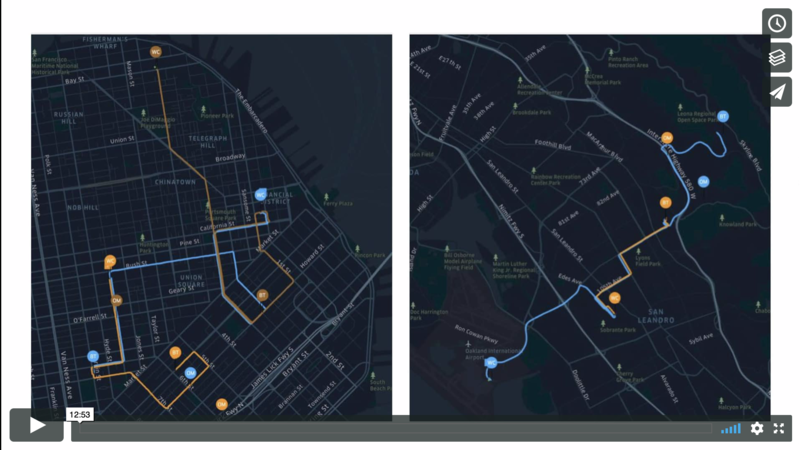 This case study argues that, for a reduced fare and a more direct route, riders are willing to forego the convenience of getting picked up at their door in exchange for waiting and walking a set amount to meet their driver. This case study explores the integration of qualitative and quantitative research to understand user trade-offs. Methods utilized were in-person interviews and two large-scale surveys: a maxdiff and a conjoint, each with a different purpose. The study started with a multi-city qualitative research study designed to understand how users make trade-offs among their transportation options, suggesting key characteristics of a ‘Perfect POOL.’ The team followed up with a maxdiff survey to validate these characteristics and identify the factors most important for riders’ decisions. A customized conjoint survey was then built to study what values each product feature contributes to maximize rider opt-in to the ‘Perfect POOL’ product. The team subsequently explored ways to translate the trade-offs revealed by the conjoint survey back into the product experience. This case study will discuss the conjoint survey’s outcomes and implications that directly confirmed the hypothesis that riders are willing to make experiential trade-offs. Learnings from this multi-phase research led to the initial Beta-launch of Express POOL in November 2017.